Spring is certainly taking its time out here in Lancaster, PA. The temperatures at night still dip below freezing, and even the robins are shy to come out from hiding. But I’m not going to let a silly thing like the weather hold me back from starting my fun in the sun. 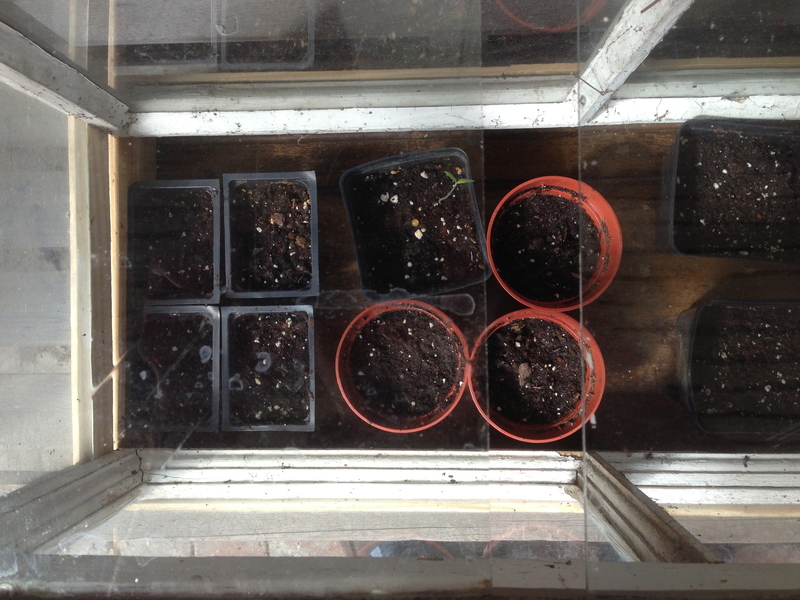 Last month I whipped up a little seed-starting terrarium to get a head-start on spring. The best place for growing things indoors is typically any south-facing window, but all of ours have a tree right in front of them. The next best thing for us was a window in our dining room, which unfortunately wasn’t good enough. Only one tomato seed managed to germinate in the few weeks that it sat by the window, and the way this little seedling stretched his neck up to the glass I could only surmise that it wasn’t getting enough sunlight. 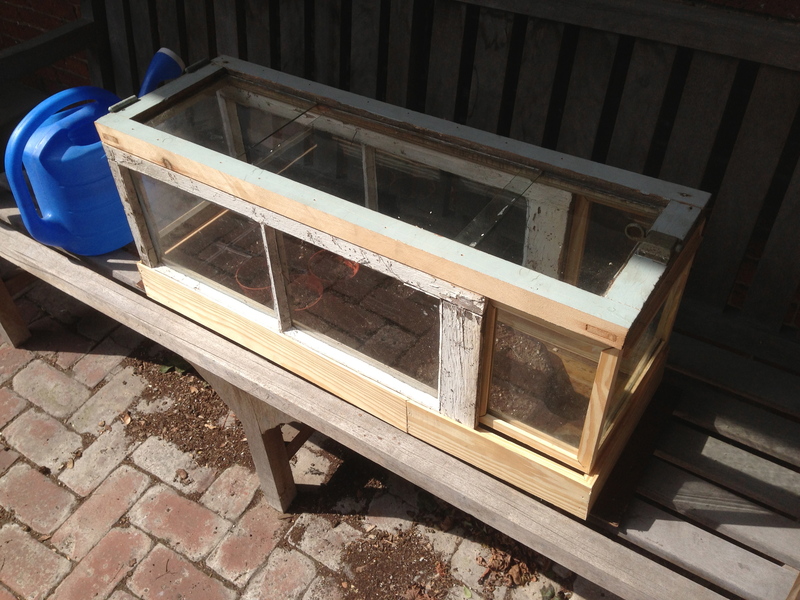 I could have put a little lamp overhead, but by this time the weather was cooperating enough for me to place the terrarium outside in the real sun. Before I did so, I wanted to build out the glass into a dome. 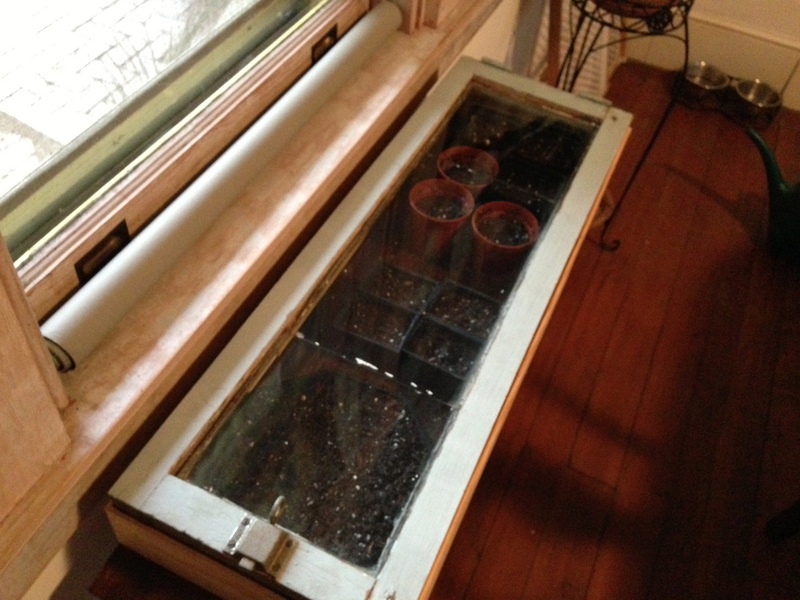 I found a couple of old windows and ripped two two-pane sections off with the table saw for the sides. This worked great except that they weren’t quite long enough. In order to complete the dome I had to carefully remove a few pains and use a glass cutter to resize them. 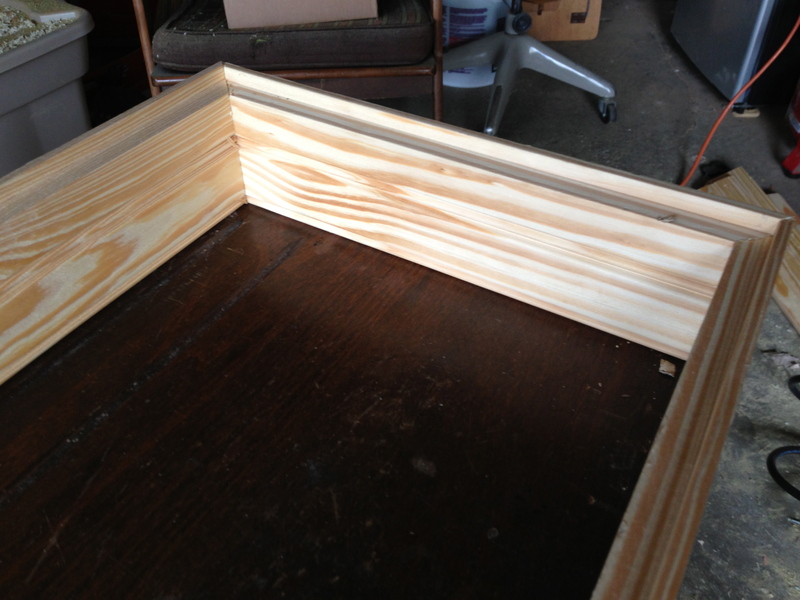 Then I built a simple frame for each new pane. A little bit of fun with the nail gun and all done. Now that my terrarium is getting lots of sun, my seedling is growing strong. 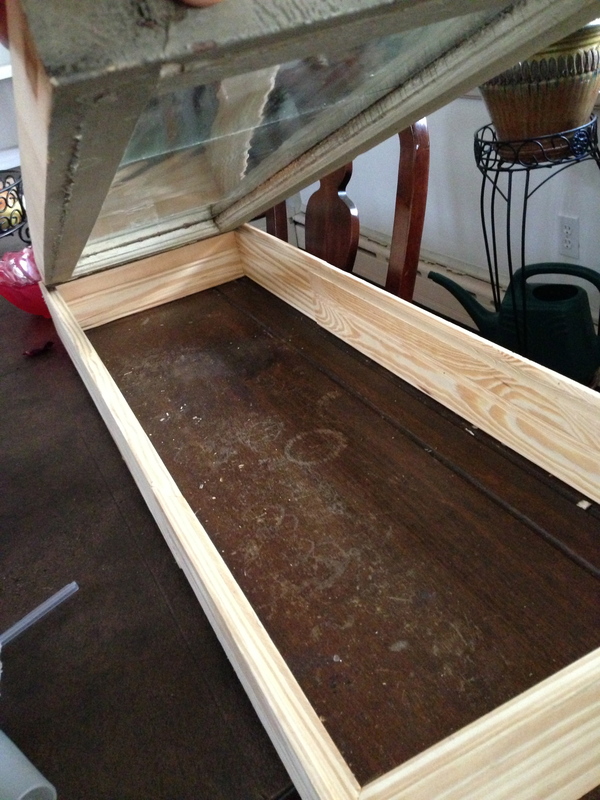 In the day I keep the top pane open slightly to allow for ventilation, but even so I’ve got a warm and cozy little environment for my seedlings to do their germination thing. I added a few more seeds now that I have a little more room. I’ve been craving fresh basil for a while now, so I planted the basil seeds that I had saved. I also planted some more patio tomatoes and bell peppers that will go up on the roof in their self-watering containers when the weather allows it. Spring may be a little shy this year, but not totally forgotten. Even last year’s thyme is starting to perk up, and the lungwort has already flowered. It won’t be long now until the roof garden is in full force. To think that soon I’ll be battling the heat of summer instead of the chill of winter only encourages my industrious side. Come on, little seedlings, time to grow up before summer is here! Seed saving is a great way to make you look like you know what you’re talking about, develop high-yielding plants that are better acclimated for your specific climate, and takes months longer and incredibly more effort than buying a packet of seeds for 89 cents at the grocery store. This is something I do to help exercise my frugality at the same time that I keep in touch with my industrious side. It’s something that takes little time during the harvest season of gardening, and gives you something to do in the off-season of winter. Different vegetable seeds go through different processes to harvest, but the other night I harvested a bunch of basil seeds and took some pictures of the way I did it. I always get confused as to whether or not Instagram is cool anymore for hipsters to use, so I’ll show them to you here instead. 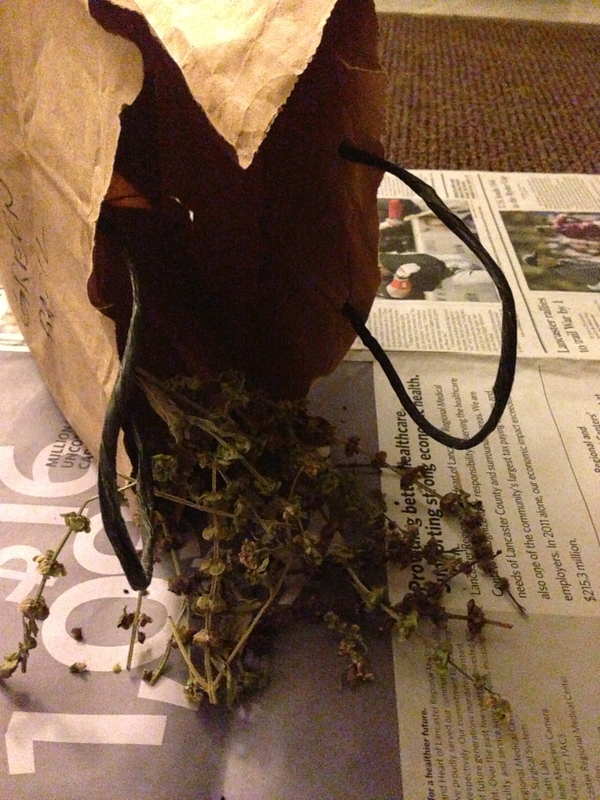 At the end of the growing season, I clipped all these seed heads from our basil crop and threw them into paper bags to allow them to dry out. The seed head on basil is the tall shoot above the edible leaves, and it flowers. Once the flowers begin to die, clip that seed head off and save it for winter. The paper bag is a magical place that will allow this harvest to dry out without getting moldy. Store this paper bag in a dry place for a few months. 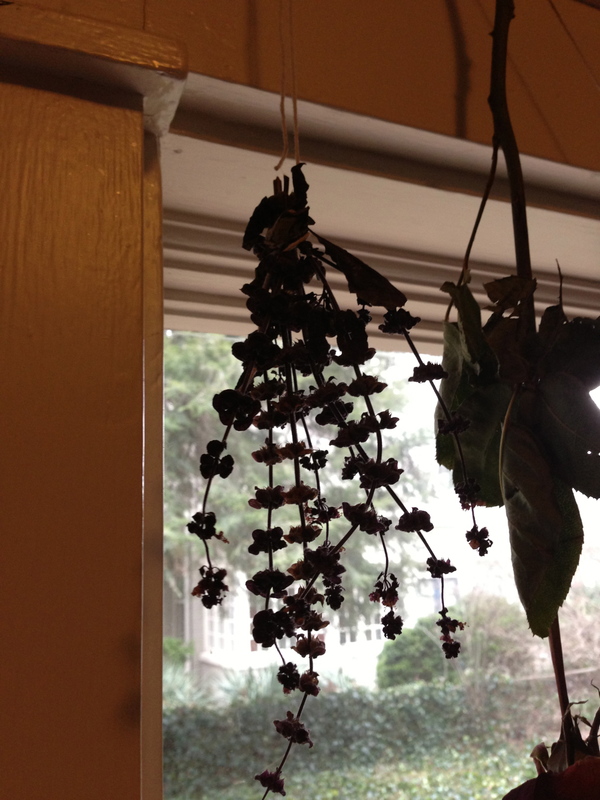 An alternative to the paper bag method of drying is to hang your seed heads in a very visible window. This method is much less efficient than the paper bag, but often preferred by the hipster that wants to show people that he/she is doing something that confuses ordinary people. Once they are thoroughly dry (I harvested in October so they have been in the paper bag for a few months), crush the seed heads between your fingers in a well-contained area. I simply reached into the bag and kept everything nice and tidy that way. Then I pour the crushings into a pie tin and separated out the seeds with a slight rocking motion that allowed the heavier seeds to fall to one side while leaving the chaff at the top. In this picture you can see the basil seeds as the larger black bits in the tin. After you get your seeds pretty well separated, put them away until it’s time to start your garden (don’t spend all winter trying to separate the seeds 100% from the chaff of the seed heads. It won’t hurt anything if it’s all in there together). For storing the saved seeds, I either make smaller envelopes by cutting and taping regular-sized envelopes envelopes, or I’ll repurpose an empty spice jar. In this case I opted for the little envelopes, and I always try to date my seeds as a good habit. There you have it. Seed saving is probably one of the more useful things that hipsters can do, and as a house husband, it helps our little clan to have fresh herbs and vegetables during the growing season. Be daring; be hipster; be resourceful: save those seeds.